Welcome to the GlobalProtect Documentation site! Select a guide below to learn about GlobalProtect features and how to deploy them. With GlobalProtect, you can choose between the GlobalProtect cloud service, or the GlobalProtect subscription to manage mobile users and remote networks. 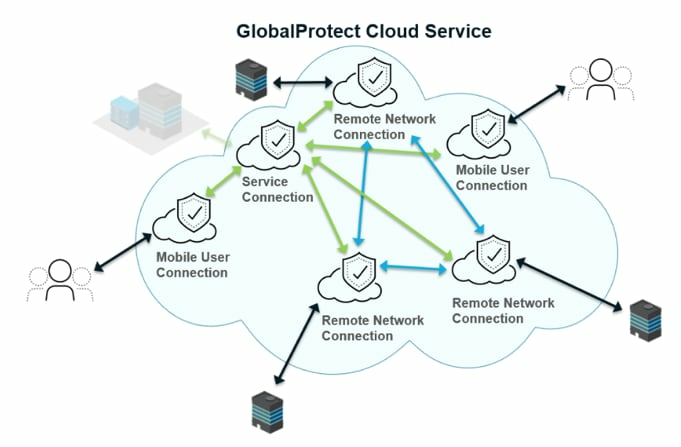 Looking for GlobalProtect Cloud Service Documentation? GlobalProtect Cloud Service now has a new home! Click here to go to the new GlobalProtect Cloud Services Documentation. The GlobalProtect Administrator's Guide provides comprehensive information for setting up your GlobalProtect infrastructure to extend policy to all users, regardless of location or device. Details the new GlobalProtect features for each version. The GlobalProtect App New Features Guide describes all the new features introduced with GlobalProtect app. Guides end users through the process of installing the GlobalProtect app software. A customizable version is also available for Mac and Windows platforms. The GlobalProtect App Release Notes provide important information about GlobalProtect app new features, known issues, and addressed issues. List of features supported on GlobalProtect by OS.